I'm Selling These Web Sites, Moving to the USA, and I Got a Job Working for HTC. Any Questions? 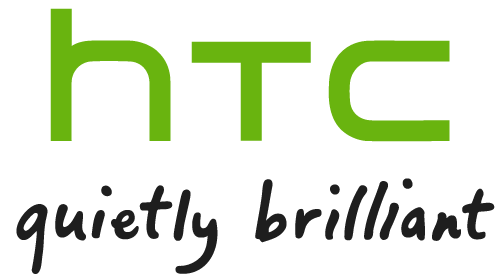 I've been working with HTC, the mobile phone and tablet maker, since August 1st of this year. Being a long-time fan of Microsoft's efforts in the mobile space - and largely tying my career to those efforts, for better or worse - I've watched HTC grow from being a nameless, brandless, tiny Taiwanese ODM making Palm-sized PCs/Pocket PCs to the mobile powerhouse they are today. I've always had tremendous admiration for HTC as a company and loved their products, so when someone I knew from Microsoft got a job with HTC in late 2010, I reached out and we started talking. The rest, as they say, is history. I believe HTC is uniquely positioned to do some amazing things in the mobile space over the next few years and I'm excited to be a part of it! Thoughts Media is currently a vendor for HTC USA, and come October 1st, I'll be a full-time employee. I have an H1B work visa, and after closing the sale of my house this weekend (phew! ), I'll be moving in the near future to the Bellevue, Washington area with my wife, our two year old son and our dog, and starting my new career. To add a little extra stress into my life, we're also building a new house and will be in temporary lodging until it's finished. Oh, did I mention this is the first corporate job I've held in 13 years? This is the single biggest career transition I've ever gone through. What am I doing for HTC? I'm a part of their social team - the team that focuses on HTC customers via Facebook, Twitter, and other communities. My title is Senior Manager of HTC Communities. I'm creating something special for them that, when the time is right, you'll hear about in a very big way. The job couldn't be more well-suited to my skill-set if I had created it myself. I'm massively excited about the opportunities I'll have at HTC, and my admiration for them as a company has only grown since I've been on the inside. A big shout-out to my awesome team at HTC for making a slightly bewildered Canuck feel right at home. Effective October 1st, I'll also be retiring from the Microsoft MVP program. This ends a 14 consecutive year run that has been profoundly rewarding on both a professional and personal level. I became a Windows CE MVP when I was 22 years old; I've been an MVP for more of my adult life than not, so it was a big decision to remove my name from being renewed for the next year. I have some amazing memories and made some great friends being a part of the program, and I'm forever grateful to Microsoft for allowing me to be a part of it. Months before I started seriously talking to HTC, I was exploring the sale of my Web sites. I've said no to several offers over the years, but it's now time to sell. I've loved running these sites since launching my first one (Pocket PC Thoughts) an incredible 11 years ago, but I've felt for a couple of years now that I needed a career change. When you stop acquiring new skills at a job, and you feel like you've gotten all the experience out of it that you can, it's time to look for something different. I say this with no sense of exaggeration: it has been one of the great joys in my life working with the amazing volunteers who keep things humming across all six of my sites, and I'm forever indebted to them - and to you, our awesome community - for giving me the ability to do this for so long. I'll have a more eloquent farewell message when I finally sign off for good, but this was easily one of the hardest decisions I've ever made. Leaving my creation - our creation - in the hands of someone else is no small thing. The logical question is "Who's buying the Web sites?". Right now I'm looking for a buyer for all six sites in the network - I'm in talks with several people/companies, but nothing has been finalized yet. If you're interested in taking over a network that has been finely tuned like a racing car, staffed with amazing volunteers that are ready and willing to work with a new owner, please contact me directly. Serious inquiries only please, but the selling price of the network might be less than you think. Let's just say I'm a motivated seller because it's time for me to move on and jump in with both feet at HTC. I'll be accepting offers over the next seven days, then making my decision, so if you're interested please let me know. The ideal buyer is someone who has a passion for technology, community, and an entrepreneurial spirit for making things grow. Oh, and being a little brash and opinionated can't hurt! Congratulations!! Let me know if you want a tour of the breweries in the area - or go on an eastern washington wine tour... This is a great area - and don't treat our breatherin from the north with tooo much distain. I'm happy to hear about your continued success and wish you only the best. Good luck with the sale. You'll be missed in the PPC/WM/WP community - I still remember seeing your posts on the old usenet forums way back in the early days. I hope you still get a chance to contribute or at least chime in every now and then, not necessarily with your new work, but just to get your feedback. I hope the transition goes smoothly for you and that you get settled in quickly. Congratulations and welcome to the Seattle area! Good to hear a fellow I'll been following for almost a decade is moving across the lake from me! Good luck! Congrats Jason. Been a fan of HTC myself, even back when no-one knew it was them behind the brand on the front of the device. Looking forward to the upcoming Titan. Please convince them to do a Windows Tablet, though I know your heart wouldn't really be in it With a real stylus BTW. Best of luck to you. I've been hanging around Thoughts forums for so long I almost feel like my landlord of multiple years just told me he is selling the house. Wow, that's some big news Jason! My first real smartphone was the T-Mobile Dash (aka the HTC Excalibur), it was a really awesome phone at the time, and seeing what HTC is doing lately seems really innovative. I hope you have success in the new job! I have been following your web sites for a long time and throughly enjoyed them. I worked for Microsoft for over ten years and supported their mobile phone group, along with the rest of the company. You and your family will love it here, once you get used to the rain. Our summers are fabulous though. Bellevue is particularly beautiful. Great success in your new job and Pacific Northwest! Wow-o-Wow, Jason. That's some news. Like change much? I've been a member here since I was researching my first gadget, my iPaq Pocket PC. It was funny reading your post, in that just today I picked up both my iPaq and my Telus HTC windows mobile phones and though "this is when computing became personal for me." I also thought back to all the days of figuring stuff out, reading reviews, getting tips, complaining about Canadian carriers, etc. Even though I worked in Calgary for a while and sometimes attended the same events as you, we've never met in person. But I feel as if you've been part of my community of IT friends for the whole time. I think your new job sounds incredibly brilliant, especially for someone like you. My life has taken a reverse direction; I moved from the west coast of the US to Canada. I can't imagine why you'd want to leave here, my home and non-native land . I can't wait to find out what sort of communities you might be part of because I can't imagine not having your insight as part of my regular reading/foruming. Best of luck in everything. Exciting times.